The new 2017 Chrysler 300 is celebrating more than nine decades of American ingenuity. The bold sedan remains a leader in sophistication and technology by staying ahead of the curve with a commitment to cutting-edge tech and performance. 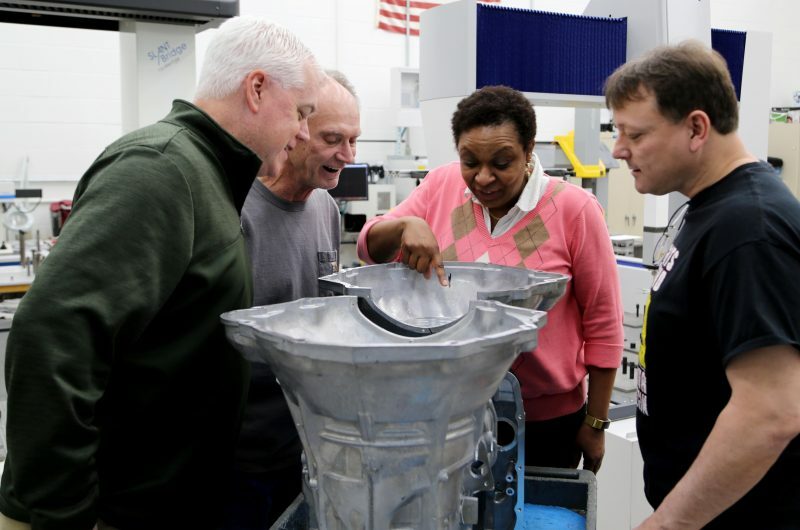 The class-exclusive1 Rotary E-shift eight-speed automatic transmission is standard on every model, delivering up to 30 mpg highway on V6 models2, plus best-in-class V6 and V8 driving range.1 All Chrysler 300 models are available with an advanced AWD system, which includes an active transfer case and front-axle-disconnect system to improve real-world fuel economy. With top-of-the-line performance at your fingertips, the new 2017 Chrysler 300 was also engineered with a dedication to innovation in appearance and technology, including the new Sports Appearance Package and the Fourth-Generation Uconnect® System. Here’s a bit of what the New Year has in store. 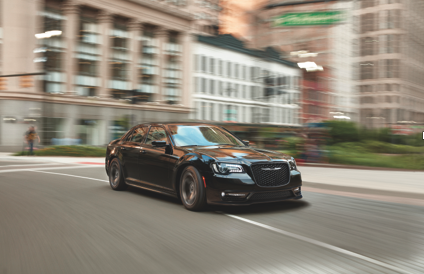 The new available S Model Appearance Package on the 2017 Chrysler 300 provides an even more athletic look to the blacked-out 2017 Chrysler 300S model. The S Model Appearance Package amplifies the attitude with a black chrome grille surround, a more aggressive front fascia, unique LED fog lamps, plus a deck-lid spoiler (included with V8 engine, available on 300S with V6 engine). On the interior, available heated and ventilated Napa leather-trimmed performance seats with high-bolstered suede contours provide both comfort and edgy style to the 300S. A new Ceramic Gray exterior color option on 300S provides a “straight shade” hue for a truly avant-garde look. Inside, a new available Black/Smoke Gray color scheme pairs perfectly with the overall athletic style of the 300S. It’s only fitting that a vehicle with so much power and style would offer technology to match. 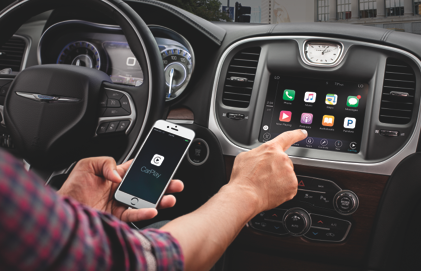 With the new fourth-generation Uconnect® system making its debut in the new 2017 Chrysler 300, drivers will enjoy the latest available smartphone integration. For iPhone® mobile device users, Apple CarPlay® enables access to Apple Maps, messages, phone and Apple Music through Siri Voice control or the Uconnect 8.4-inch touchscreen. For those who use an Android™ phone, Android Auto enables easy and safe access to Google voice search, Google Maps and Google Play music via the touchscreen or steering wheel-mounted controls. In addition, the new Uconnect system includes performance improvements with faster startup time, enhanced processing power, vivid imagery, plus higher resolution and sharper graphics. And the new 8.4-inch touchscreens with available navigation offer multi-touch gestures with pinch, tap and swipe capability. Learn more about the style and technology of the new 2017 Chrysler 300 at chrysler.com/300. 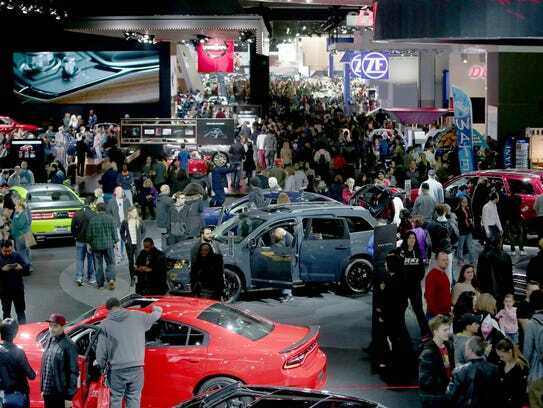 1Based on the latest available competitive information and the FCA US LLC Upper Large Car Segmentation. 2EPA estimated 30 hwy mpg with 3.6L V6 engine and eight-speed automatic transmission. Actual mileage may vary.